Hello , welcome to the 100% Canadian Dividend Portfolio Section. 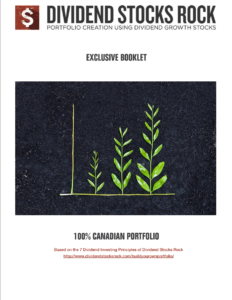 This is the first and only 100% Canadian portfolio you will find in DSR. The reason why all our others “Canadian” collections show 50% of U.S. holdings is because we genuinely believe the Canadian market is not diversified enough to include all your investments. 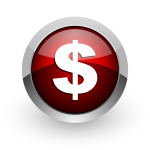 However, we are well aware that some of you have cash or companies account to manage. There is a significant tax disadvantage to hold foreign dividend-paying stocks in a taxable account. For this reason, we have built this portfolio. We have included 21 positions are that equally weighted. This portfolio could suit all kind of investors. However, with 21 holdings, it would be hard for an investor with less than 25K to build it. If it’s your case, we would suggest you start with our smaller portfolios. However, you can start by investing $1,000 in each company, and you will be able to mimic our returns. Look at our Portfolio Booklet! We created this new tool for you to quickly have in hand all the recent info related to this portfolio: Statistics, Asset Allocation, Comments on Current Holdings, Latest Trades, Holding Ranking and Related Stock Cards all in one PDF document! You may now download it, print it, write on it or save it for further reading and searching. Also see more data below. 1. Dividend Yield, PE Ratio and Dividend Payout Ratio are TTM (Trailing Twelve Months – not current or past fiscal year). 2. Earnings Per Share (EPS), Revenue (REV) and Dividend Growth (DVD Growth) are shown for a 5 years period. Stocks mentioned on this site are not considered to be buying or selling recommendations. Please note that this portfolio is updated monthly. Trades are being sent in real-time via the DSR premium newsletter. Portfolios are not to be considered as stock recommendations.